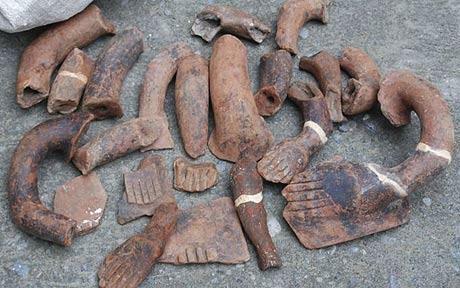 lost tribe in sacks of broken pottery seized from antiquity smugglers. Sarangani province on the Filipino island of Mindanao in August. 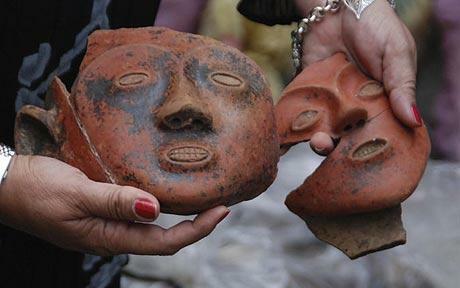 pottery has human faces that show emotions.